Interesting numbers in that you get a near doubling from Feb to March, and then a fall off a cliff from September to October. But if it helps increase heat as the growing season kicks off and extends it at the other end I'll deem it a success. 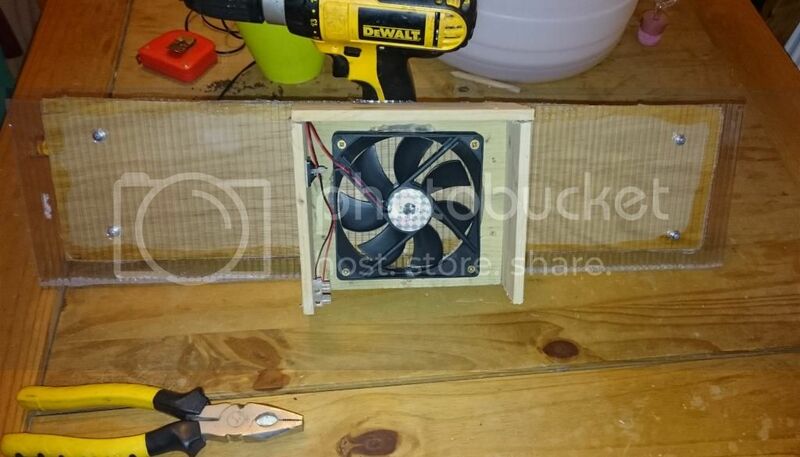 I agree, bound to work better like that, its just a question of whether you have energy available to drive the fan during the night - more hassle to set up battery / charger etc. circuits IF you could get away with direct driven off a solar panel to "store" the heat, and "convection" to extract it. What about a simpler system? 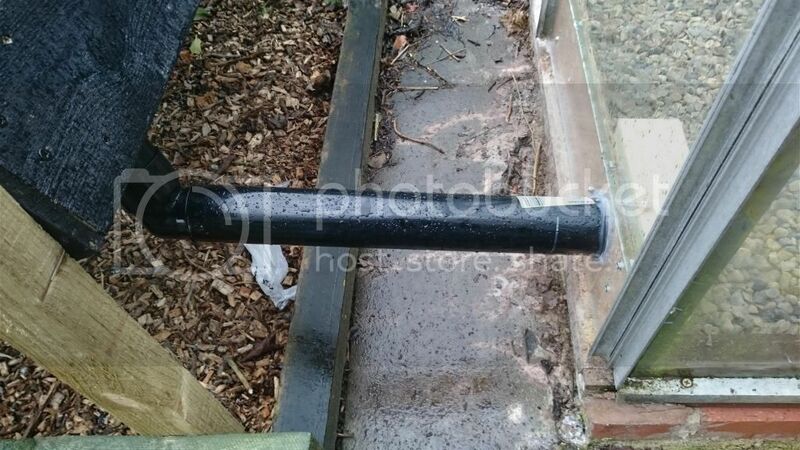 Put some pipes under the soil and pump the air from the top of the greenhouse through the pipes when the sun is shining and let convection release the heat overnight? In March, my polytunnel regularly gets up to 40C when the sunshines on it but drops quickly overnight. Circulating the air would have an additional benefit. Its still going to be nigh on impossible to work out if there's any benefit but might be fun to try. If I've understood it right, that would be simpler, but that's a lot of mass to heat, without digging everything out & creating some sort of undersoil insulation layer to stop the heat bleeding down and being lost. Agree. However, you're not trying to heat the soil (whether it be your heat sink or just the soil in the greenhouse), you're just trying to allow some of the heat from the atmosphere to be stored for a relatively short period of time and then to be radiated when the air is cooler. So even if the heat bleeds downwards, I assume that it wouldn't go very far. The reason (if I remember right) that the Not Easy Being Green demo used ground glass (other than showing off a fancy glass pulverising machine) was to have a large surface area to absorb the heat. Overall I guess it depends what you are trying to do. 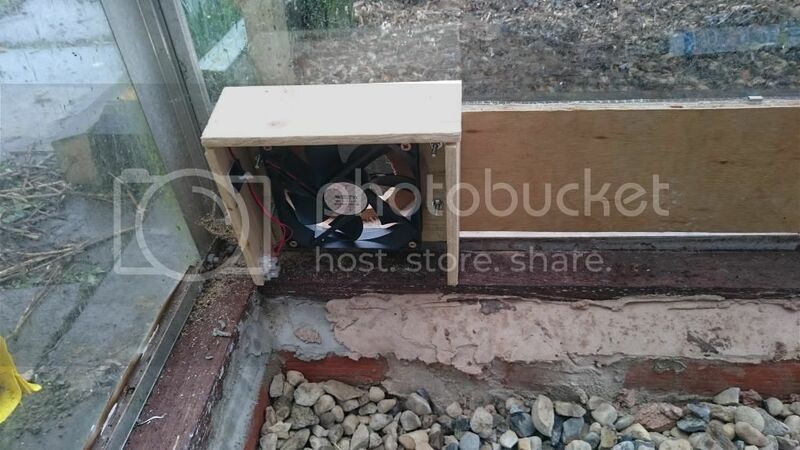 Are you trying to make a small area of the greenhouse significantly warmer all night (like a propagator) or are you trying to generally raise the temperature of the greenhouse a bit overnight. If the former, then yes, you'll need to concentrate the heat into a small area but its probably easier to buy a propagator . This is the sort of thing I am going to build into my geodesic dome project. 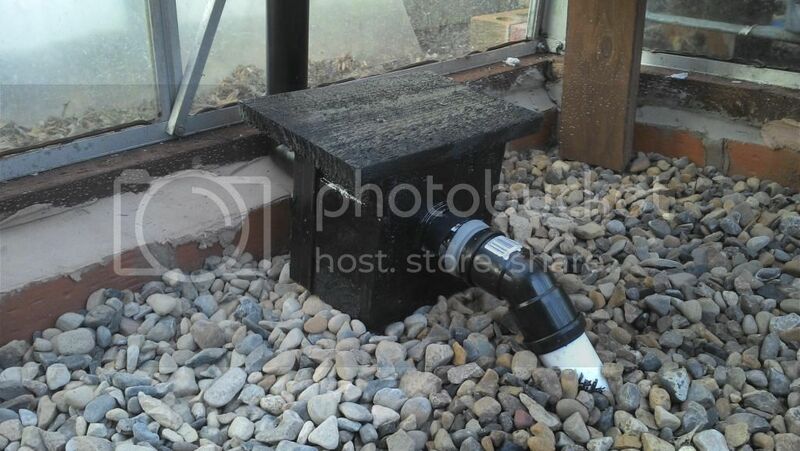 I want to try and use the hot air from the top of the dome to heat the water in the fish tanks of the aquaponics system which will then release that heat at night. Lfe all this info and ingenuity! 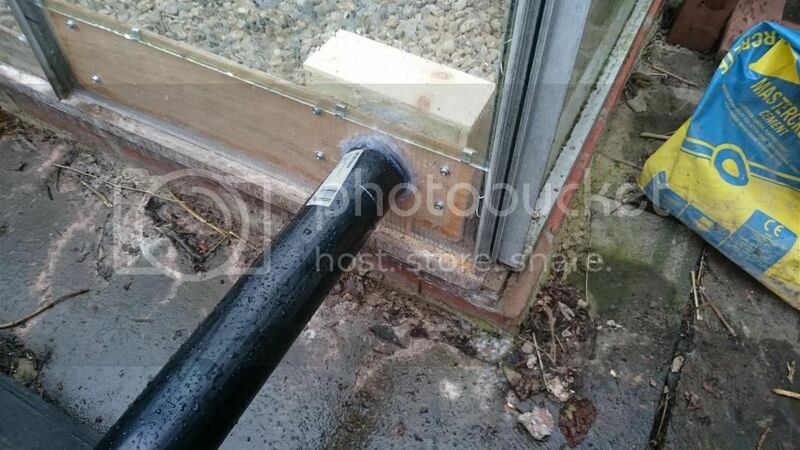 Removed the glass and fitted the new custom sheet of polycarb/ply, then worked out where the ducting (bit of drainpipe) would enter the greenhouse; removed and drilled a hole through the polycarb attached the fan housing and refitted it.